Q – What does We Silver Jewelry do? A – We are a wholesale jewelry supplier. We sell a wide variety of 925 silver jewelry at wholesale prices. Q – Where is your company located? A – We are located in the Texas, USA while our factory is in Thailand. Q - How do I get photos of the items? A - You can download high quality photos of your purchased items from the “My Orders” section under My Account. Q – Why is it called 925 sterling silver? A – This product is 92.5% silver. The remaining 7.5% consists of other metals like copper or stainless steel. You cannot use pure silver to produce jewelry because it is too soft. Q – How do we know your products are 925 sterling silver? A – You will find a 925-silver stamp on our jewelry. Q – Do your products contain lead, nickel or heavy metals? A – No. We conform to the American, European, and International laws pertaining to jewelry content. Q – You offer products with gold and rose gold finishes. Is this just coloring? A – No. We do not use coloring. The products are plated with 14ct gold. Q – Can I make a customized request? A – Yes. You can order your favorite item if it's currently out of stock or order customized products in your preferred plating, color, type etc. Please note that there is a minimum order for customized requests. Read more details on our Production Orders page. Q – Why do I need an EIN / Tax ID Number? A – We are a wholesale jewelry supplier and thus need your employer/tax identification number to confirm that you are a business. By validating your business, you are not charged with sales taxes. Q – How hard is it to set up an account? A – It is not hard at all. Just click on My Account or click here to register. All you need is proof of business, like EIN / TIN / Business Certification. Then, you are ready to shop! Q – What do I do if I forgot my password? A – Simply go to the login page and click that you have forgotten your password. A new password will be sent to you via email. Once you have received this temporary password you can log in and replace it with a new one of your own. Q – What if I request a new password and I never get the email? A – Contact us and we will fix the problem. Q – Do I have to buy in bulk? A – You need to place an order of at least $99. Q – Is there a certain amount I need to order per piece? A – No. All you need to do is meet the total $99 order minimum. Q – Do you really offer discounts on bulk orders? A – Yes. Buying in bulk is the best way to go. See our Discounts Page to learn more. Q – How do I order specific ring sizes? A – You will find the ring sizes listed on each product page. If the size is not listed, this simply means that the product is adjustable. We carry the right size for everyone. Q – If I sign out prior to completing my order, will it be saved in the system? A – Yes. When you sign back in, your order will still be there. However, the available quantities will be adjusted in accordance with the present inventory. Someone else may have beaten you to the punch and ordered some of your intended items. Q – What if I go to check out and it says my product is not in stock? A – This means that another customer got there first. Your product is not secured until you have completed the payment process. Q - Where do I download the invoice? A - You can download your invoice from the My Orders section in My Account. Just click view on the order of your choice and then click on download invoice. Q – Is your payment process secure? A – Yes. We use the latest in technology to protect our customer’s payment information. We use PayPal, stripe & square as payment gateways. Q – How hard is it to re-order the items I really like? A – It is quite easy. Your past orders can be found in your “My Account” history. You will see the “order details” from previous orders. Find the one by the items you like the most. Click on it and it will tell you how many you ordered before. Now all you need to do is click on it, enter how many you want, and click the “Add to Cart” button. It is that simple! Q – How can I pay my order? Which is your payment policy? A – Our company accepts payment via PayPal and Credit Cards for regular orders. 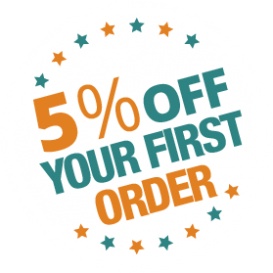 For production orders though, you need to pay 35% deposit of the proforma invoice and the rest amount along with the shipping cost when your order is ready to ship. No need to make a deposit when buying regularly. Q – How long will it take to get my order? A – We dispatch the orders out from the factory as soon as possible – maximum 48 hours after you place your order. Orders in the USA take about 5 to 10 business days to arrive. Any delays might be due to local customs. If you like more information about shipping & delivery, click here. Q – Where do you deliver? A – We ship orders mainly in the USA and Canada, but also worldwide. Q – Who will deliver my order? A – Our orders are shipped by UPS or FedEx and USPS. Q – Can I track my order? A – Yes. You will be given a tracking number with your shipping confirmation by email. All you need to do is to click on the number. Tracking is also available from My Account. Q – Which factors determine the shipping cost? A – The weight and quantity of the order and your location. Please, check our Delivery & Shipping Information. Q – What do I do if I receive broken items in my order? A – We work hard to package items safely and securely. However, if this happens; send us an email message with the order number, item code, quantity, and picture of the damage. We will definitely make the situation right. Q – What if I placed an order and decide I don’t want it? A – You need to email us and cancel the order as quickly as possible. If the order has already been shipped, you will have to send it back to us within 7 days after receiving the goods at your own cost. Once we receive the items, we will refund you. Q – What if I receive the wrong products? A – Follow the same process as with broken items. Send back the wrong items and we will replace them for you.